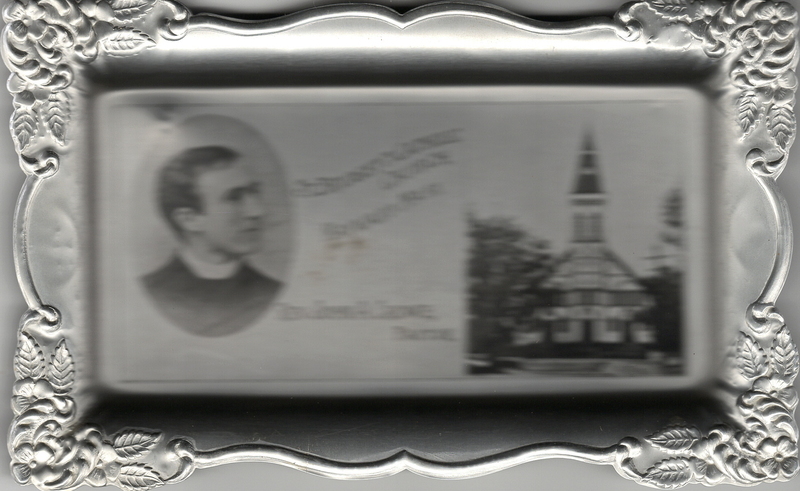 A souvenir metal tray for St. Bridget's Church that shows pictures of Rev. John A. Crowe, Pastor, and St. Bridget's Church. New Method Co., Chicago, USA. 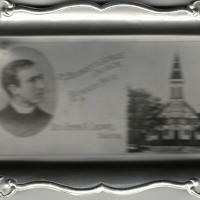 New Method Co., Chicago, USA., “Souvenir Metal Tray - St. Bridget Church ,” Maynard Historical Society Archives, accessed April 24, 2019, http://collection.maynardhistory.org/items/show/6594.